Welcome to AutoUsedEngines.com where shipping is FREE to US and Canada and comes with REAL-TIME tracking. Our family has set aside thousands of used Honda Engines, rebuilt Honda Engines and remanufactured Honda Engines. Anything not currently in stock is reliably source and followed by REAL TIME tracking. Quotes are FREE. Warranties are available as well as a money-back guarantee on certain units. 30 years experience brings you courteous representatives with the knowledge and the manpower to ship a used Honda auto Engine FAST. For most, an engine replacement is once in a lifetime. If this is yours, be sure to let our family-owned get a good running used Honda engine that has been thoroughly tested, historically verified and personally tested. You need more than a shipment, you need your life back. Have your VIN and the shop address when calling. The mass of our inventory includes the Honda F-series and H-series Engines like those for later model Honda Civic, Accord or Prelude on up to the later years Honda H-series and the newer K-Series engines, like those for Civic Si, Honda TSX 200 or an Accord Sport. We provide L-series Engines like those for a low mileage 2013 Honda Acura TL Engine or TLX engine. We have and can source used Honda diesel Engines should yours require. We need your VIN. In 2012, alone, Honda produced 4 million cars for the US market. Pause. That’s just the US and they continue to produce. Every car sold in the US had three to six engine options and two to six transmission options. Thus, at any given time our dynamic inventory includes ten thousand used Engines in rotation. The bulk are for later models as those for Honda coupes, subcompact and compact cars such as used Fit Engines, mid-sized sedans like our used Accord Engines, full-sized sedans, luxury sedans, hatchbacks, Honda utility/off-road like a used CR-V Engine, luxury sedans like our used Acura Engines and more. Many of these are with very few miles. If you drive it, we have it. Within that dynamic inventory there are a few thousand earlier model Engines. For example, these would include those for Honda 6th generation Civic or Accord that began mfg roughly around the late 90s. We have few limitations, save those related to emissions controls, imports or any with manufacturer-born faults. 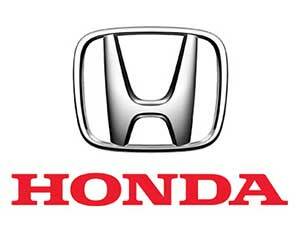 For Honda, the emissions controls for the US was garnered around year 2001. If you’re looking for a specific Engine, call and connect. We might have it or can refer you to a reliable source. The reliable source part? That’s important. The older the Auto Engine, the more likely of rebuild or remanufacturing. Rebuilt and refurbished Engines are performed in house with one technician to one engine at a time. This personal attention guarantees quality workmanship and controls cost. In 30 years we acquired the best and the brightest and treat them like gold. Did you know that some powertrain products are simply not worth the effort to rebuild? These are rare, but we tell. Most like this have been recalled, but not everyone gets that opportunity. If yours has a reputation for problems or a long-standing heuristic approach avails no results, connect with us. Our reps have the best options for you, no matter the outcome for ourselves. It is possible to find lower mileage Engines for these years, but not as easy. Call frequent and often. By the very nature of our work, we may know things your mechanic might miss. Call and speak with ours. All units are subject to availability.